Pitchers Shintaro Fujinami and Randy Messenger have been about the only two things the Hanshin Tigers have really been able to count on over the last several weeks. The two pitchers have looked like aces in their last few starts and their recent surge makes it at least somewhat harder to dismiss the Tigers, who are probably fortunate just to be 38-37-1 this year, in the weak Central League. Wins have come at a premium in the CL, where the Tigers are in first place and stand as the only team with a winning record, and having a pair of hurlers who can go out and deliver has to be a big boost to the team’s confidence. Messenger was far from reliable early in the year, with things getting so bad the team sent the big righty to the farm to work out the kinks. He returned to the top team in late May, and has been lights out ever since. In six starts since rejoining the ichi-gun squad, Messenger has allowed just three earned runs over 46 innings, striking out 52 over that span. Fujinami has been nearly as good. 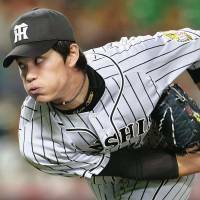 The third-year star, who has had his exploits commonly compared with those of the Hokkaido Nippon Ham Fighters’ Shohei Otani, has shown flashes of brilliance on the mound during his last several starts, including striking out 13 over 10 scoreless innings on May 27. The 21-year-old has an 1.81 ERA and 58 strikeouts in his last 44⅔ innings and has won each of his last four starts. The Tigers haven’t had much to hang their hats on this year, even in a CL that dipped to a historic low last Friday, when all six teams had losing records. Hanshin’s two pitching dynamos have done well, but the team needs the offense, and the other pitchers, to also pull their weight. Getting outfielder Matt Murton turned around would be a good start, and Kosuke Fukudome is showing signs of life. Manager Yutaka Wada can also ask for more consistency from left-handed pitchers Atsushi Nomi and Minoru Iwata. Because just having two ace-worthy hurlers might not be enough. 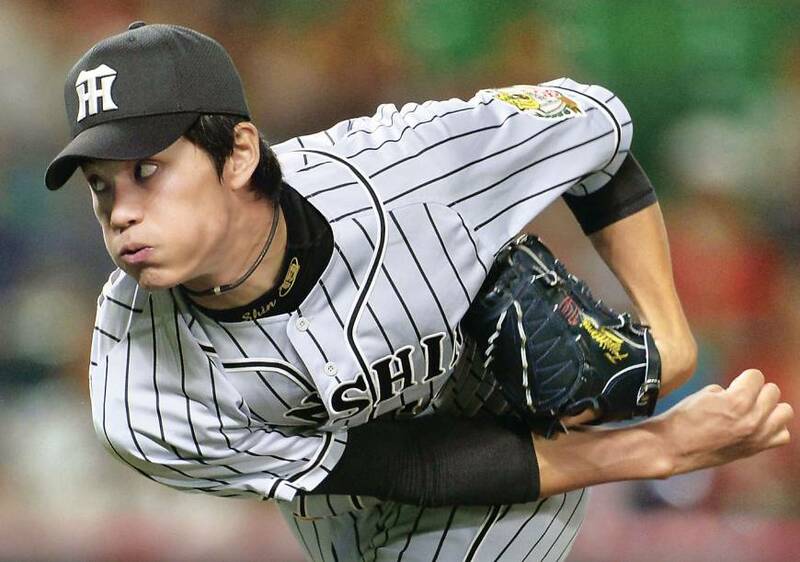 The Pacific League’s Tohoku Rakuten Golden Eagles, for example, finished fifth in 2008, when Hisashi Iwakuma won 21 games and Masahiro Tanaka won nine, and were last in 2010, when both reached double-digits in victories. The Eagles have just one A-class finish, in 2009, to show for the five years they had the two future major leaguers on the roster. Hanshin can’t count on the rest of the CL continuing to play badly enough for it to sneak into a cushy spot in the standings. Fortune has smiled on the Tigers so far, and they’ve got two horses galloping at a full sprint in the rotation. Having a little luck has never hurt anyone. Still, Hanshin would do well to fall in lockstep behind Fujinami and Messenger before it’s too late.